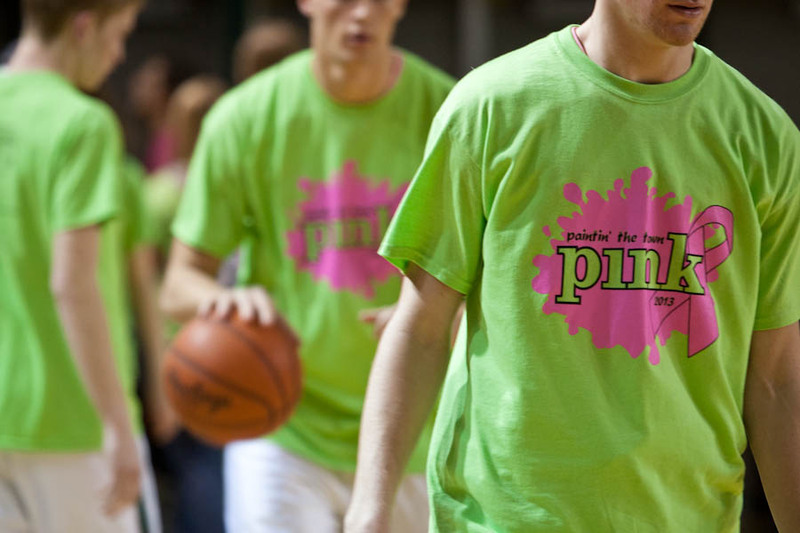 Amidst the swirling flakes of a winter storm and with threats of a February white out, Jenison community members packed the house for their 5th Annual Pink Out! “Cancer is a six letter word that evokes denial, disbelief, questioning, and anger. And if you’ve ever received this diagnosis, you know these feelings all too well. With the help of JHS winter athletes bearing pink and white flags, seven Jenison women were chaperoned into the gymnasium in honor of their battle against that “six letter word.” Accompanied by loved ones, the women shared their stories personally or had them read aloud on their behalf. “If you had told me a year ago that I’d be standing here talking about breast cancer, I would not have believed you. Last August I had my mammogram; an hour and a half later I received a phone call saying I needed a biopsy, and six days later I had a diagnosis. I had breast cancer,” Mary Visser opened. Mary Visser shares her breast cancer story. Mary’s message of early detection paired perfectly with the presence of the Betty Ford Mobile Mammogram offering affordable services just outside the high school doors. This theme resounded through the night, underscoring the need for self-examinations, mammograms, and timely doctor’s visits, and early treatment. The Jenison community has always rallied around its own, giving generously at Thanksgiving and Christmas and beyond. 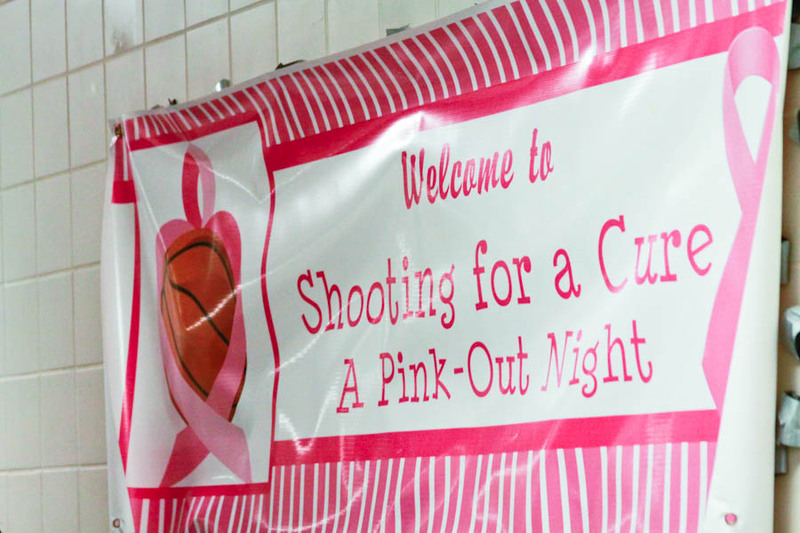 How fortunate that our Pink Out game is no different: we are pleased to announce that over the past five years, over $50,000 has been raised to help support families right here in our zip code who are struggling under the weight of oppressive medical bills. Thank you to all who came out in support of the Pink Out! Together, we are Jenison! The Jenison High School Dance Team performs to Rascal Flatts “I Won’t Let Go” in honor of those with cancer and those who walk the road with them.